Retin-A and Retin-A Micro are both topical prescription medications that your dermatologist may prescribe to treat your acne. Because they have nearly identical names and are manufactured by the same company, you may wonder if they're the same medication. Despite the incredibly similar names, Retin-A and Retin-A Micro aren't exactly alike. There are some big differences between the two products. Take a look at the similarities and differences and how both work. Both Retin-A and Retin-A Micro contain the same active ingredient: tretinoin. Tretinoin is a topical retinoid, meaning it's a medication derived from vitamin A. 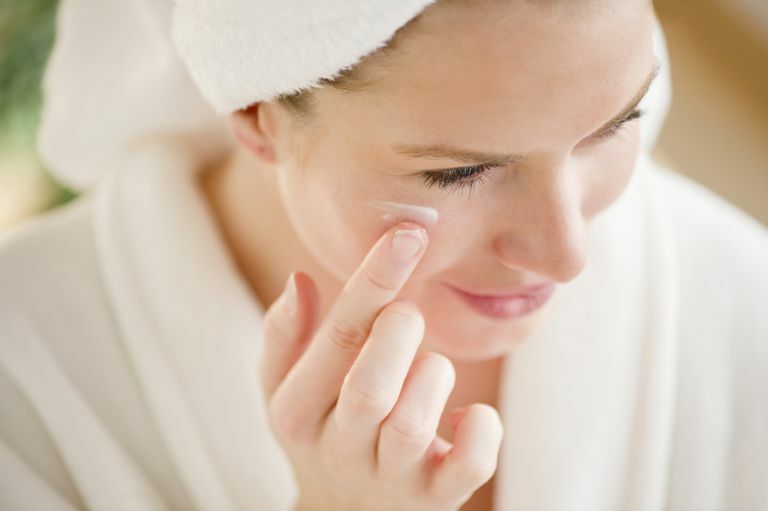 Other topical medications that contain tretinoin include Avita, Altinac, Tretin-X, Renova (mainly prescribed as an anti-wrinkle medication), and Ziana. You can even get generic tretinoin. Because they contain the same active ingredient, Retin-A and Retin-A Micro work in essentially the same way. Both medications work to speed up cell turnover rates. Simply put, they make dead skin cells shed more quickly and effectively than they would on their own. Tretinoin medications also help the plugs of dead skin cells and oil trapped within the pore become less sticky. When all of that "gunk," technically called comedones, isn't hanging around in your pores anymore, you won't get as many breakouts. Retin-A and Retin-A Micro are used to treat mild to moderately severe acne vulgaris. They both help reduce non-inflamed breakouts, like blackheads, as well as inflamed pimples. Topical retinoids like Retin-A and Retin-A Micro can be used by tweens, teens, and adults. In fact, many adults without acne use Retin-A because it's great for softening lines and wrinkles and giving the skin an overall younger look. Retin-A and Retin-A Micro are basically different versions of the same medication. They work in the same way, they're used to treat the same skin problems, and they contain the same active ingredient. The main difference between Retin-A Micro and Retin-A is how they are formulated. It comes in cream, gel, and liquid forms. The full potency of the medication is delivered immediately when it's applied to the skin in any form. This increases the risk of irritation. You must wait 20 to 30 minutes after cleansing before applying Retin-A. It comes in gel form. Microspheres release the medication more slowly, over time, allowing it to be effective on your skin for longer periods and without much irritation. You can use it immediately after washing your face. Which Medication Is Right for Your Skin? Because you can only get Retin-A and Retin-A Micro by prescription, you'll have to consult your dermatologist. During your appointment, your dermatologist will take a look at your skin and your medical history. Then, your dermatologist can help you develop an effective acne treatment plan. If you're interested in trying either Retin-A or Retin-A Micro, ask your dermatologist about them. Your derm will help you choose between the two, or will let you know if another acne treatment is more appropriate. All in all, both Retin-A and Retin-A Micro are good options for treating acne. Retin-A Micro should have less risk of being irritating and should be less drying than Retin-A. It may be slightly more effective, in part because you will be more likely to use it if it isn't as irritating. The biggest downside is that Retin-A Micro is much more expensive than Retin-A. This may or may not be a factor for you, depending on your insurance. Estimate your out-of-pocket costs for each. There are benefits and drawbacks to both products, so choosing between the two can seem overwhelming. But remember, you don't have to make the decision on your own, your dermatologist is there to help. Kircik LH. Evaluating tretinoin formulations in the Treatment of Acne. Journal of Drugs in Dermatology. 2014 Apr;13(4):466-70. Kircik LH. Microsphere Technology: Hype or Help? J Clin Aesthet Dermatol. 2011 May; 4(5): 27-31. Retin-A Micro Prescribing Information. Ortho Dermatologics. Tretinoin Topical. MedlinePlus U.S. National Library of Medicine & National Institutes of Health. Yeh L, Bonati LM, Silverberg NB. Topical Retinoids for Acne. Seminars in Cutaneous Medicine and Surgery. 2016 Jun;35(2):50-6.